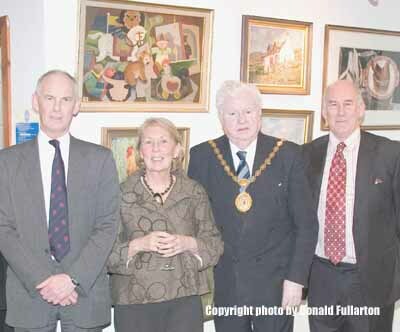 The Helensburgh Heritage Trust exhibition to commemorate the centenary of the birth of local artist Gregor Ian Smith was formally opened by Councillor Billy Petrie, convener of Argyll and Bute Council. The opening ceremony was conducted by Trust chairman Stewart Noble. Among those present were two of the artist's sons, Charlie and Campbell, and his daughter Kirsteen (Mrs Scott). The exhibition is in Helensburgh Library in West King Street, and is open during normal library opening hours until Friday May 4.